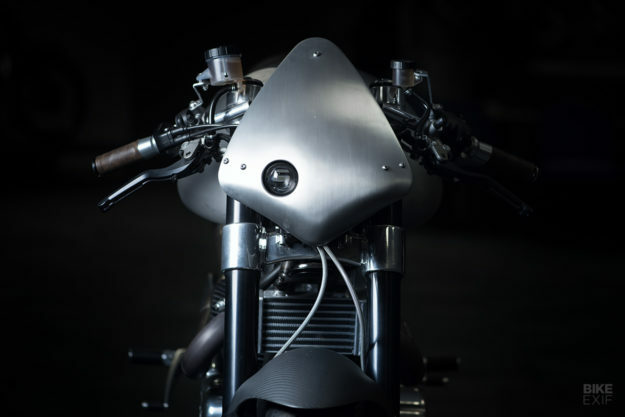 Reality TV shows about custom bike building have a really bad rep. But when we heard that Anthony Partridge would soon be gracing screens, our interest was piqued in a big way. The ebullient Mr. Partridge knows a thing or two about swinging spanners. 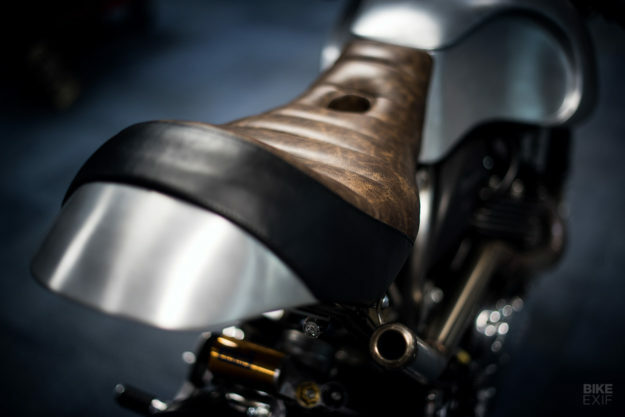 He co-founded Matt Black Custom Designs—a Spanish-based custom shop known for producing head turners—and has now branched out on his own, as Partridge Design. He’s also one third of the team at Goblin Works Garage—the titular shop of a new Discovery series airing next month. (It’ll be in the UK at first, then spreading to other countries). His partners are mechanical engineering whizz Jimmy de Ville, and the designer and custom car builder Helen Stanley. Filming the first season meant building six cars and four bikes in just six months. The trio worked on the cars together, with Anthony handling the bikes solo. 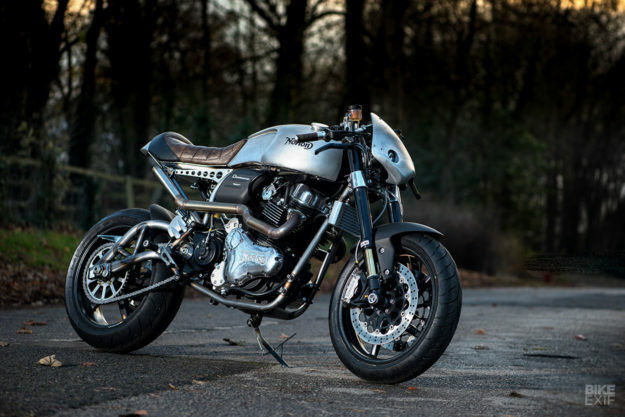 This alluring Norton Dominator Naked cafe racer is one of them. The commission for the build couldn’t have come from a higher source. 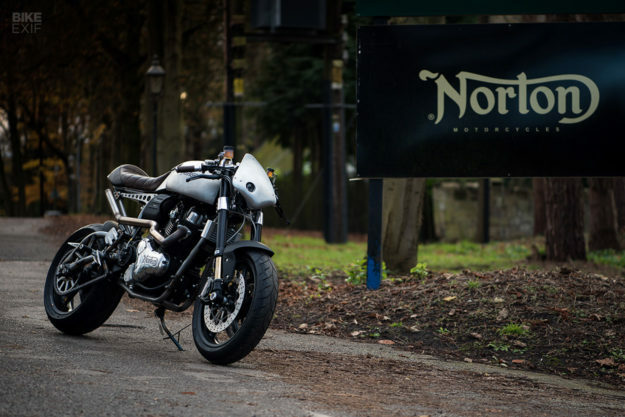 When Anthony popped into Norton’s HQ to pick up a Dominator as his daily rider, CEO Stuart Garner pulled him aside and pitched the idea. 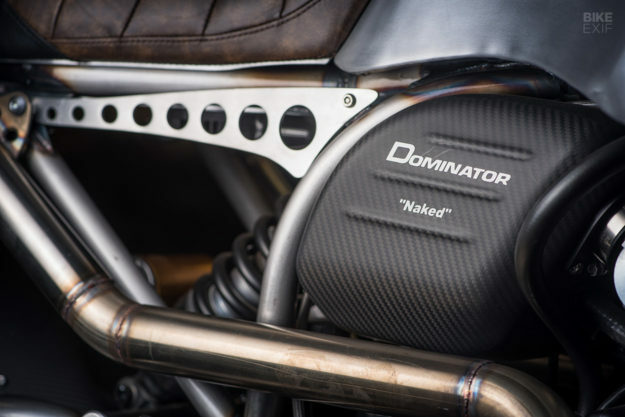 The Dominator is the sort of bike most people wouldn’t dare touch. It’s gorgeous out the box, loaded with heritage, and kitted with nice bits like carbon fiber trim, Brembo brakes and Öhlins suspenders. The Naked edition’s even sexier, with a raw effect on the frame and matt finishes all over. The answer is restraint. 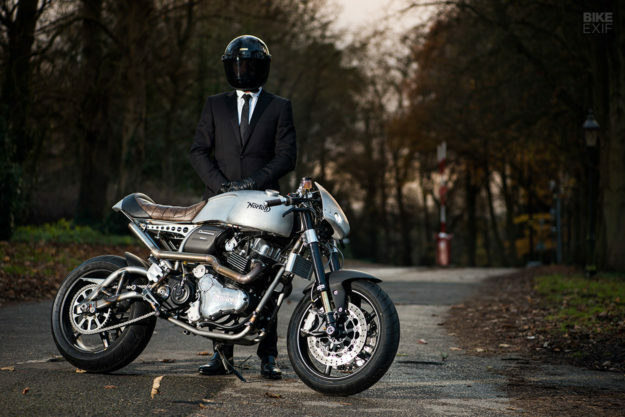 With a mandate not to cut the frame, so that the bike could serve as inspiration for further development, Anthony decided to nip and tuck rather than start from scratch. 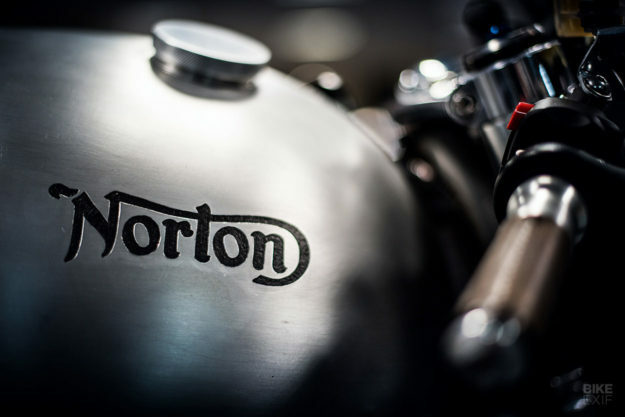 Most of the dramatic changes happened up top—starting with the Norton’s fuel tank. Anthony took the stock tank and chopped the sides and back off. He then welded in hand-shaped panels to accentuate the lines he was going for. He’s ditched the original seat too, replacing it with a generously padded unit tapering off to a neat, hand-shaped tip. The drilled seat supports on either side are the original units, but drastically trimmed down. “Most would not even notice it—until I point it out,” says Anthony. 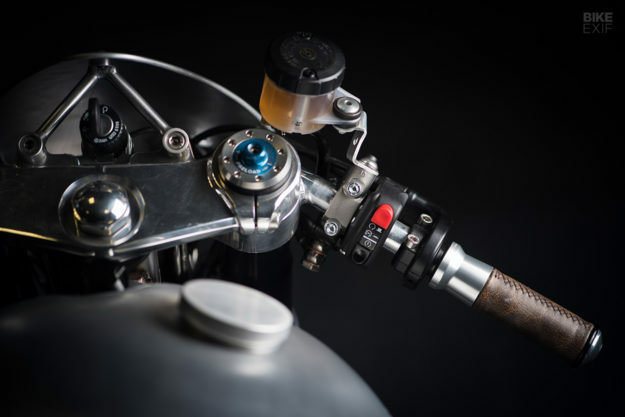 Every tiny part is beautifully considered, and even borderline artful—like the hand-made brackets that attach the fairing to the triple clamp. Anthony fitted Rizoma turn signals and grips too, but had the grips (and the seat) upholstered by Eastcoast Customs for extra effect. 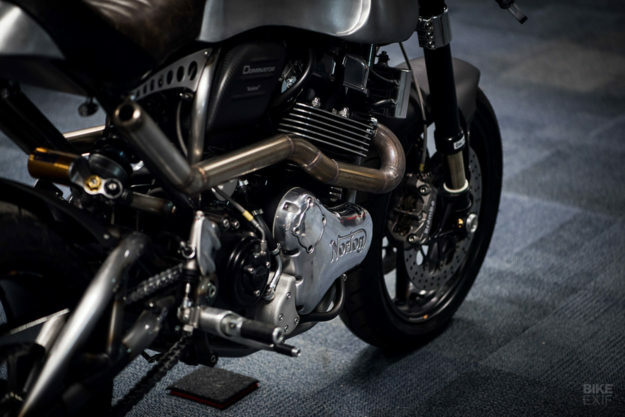 There’s also a hand-made stainless steel twin exhaust system—complete with internal baffles—routed high up for a radically different silhouette. And if you look closely, you’ll notice that the stock wheels have been ditched for a set of über-desirable carbon numbers from BST. 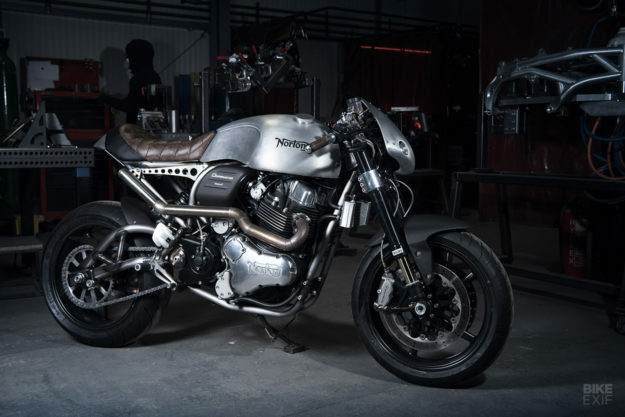 Tasteful and well judged, this Norton is a far cry from the themed monstrosities we’ve seen on TV in the past. Put Goblin Works Garage on your watch list. Goblin Works Garage airs on January 11th at 9 pm on Quest in the UK.